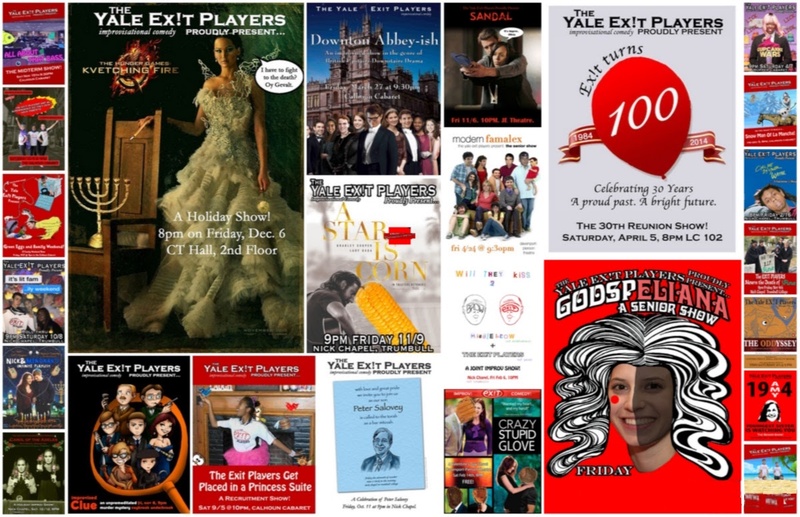 The Exit Players were founded in the spring of 1984, introducing improv to Yale's campus. Since then, we have performed hundreds of shows at schools, theaters, and festivals across the country. When the Exit Players are not performing, we teach improv workshops for students of all ages across the U.S., from Los Angeles to Austin to Washington D.C.
Closer to Yale, we've worked with Connecticut schools and non-profit organizations, including the Boys and Girls Club of New Haven, the Amity Teen Center, and the LGBTQ* Youth Kickback. We tailor our workshops to any experience level, from complete beginner to advanced maker-upper. 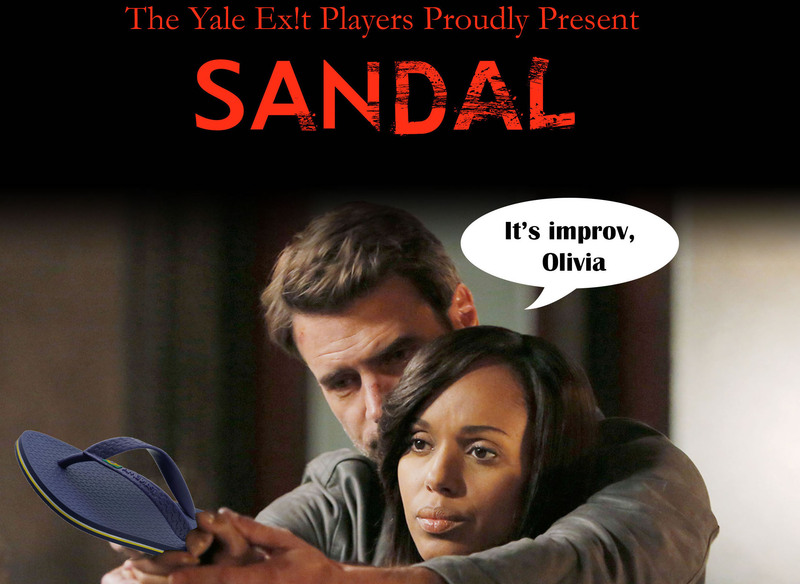 We do long form and experimental improv. We have about eight on-campus shows per year, in addition to off-campus collaborations with other groups. We hold workshops for students, improvisers, and entrepreneurs, companies. 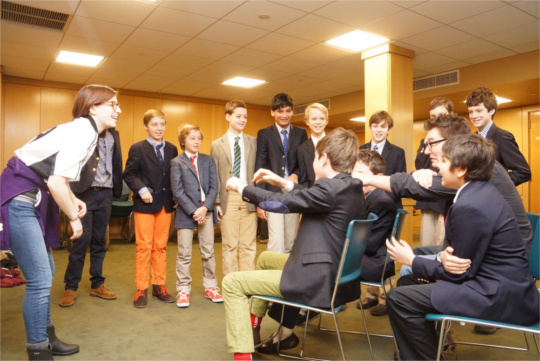 Our workshops emphasize skills in improv, storytelling, team building, and communication. We do a week-long tour in winter and spring! We visit cities all across the U.S. performing improv, holding workshops, and learning from professional improvisors. We host events for children, including holiday events and student events. 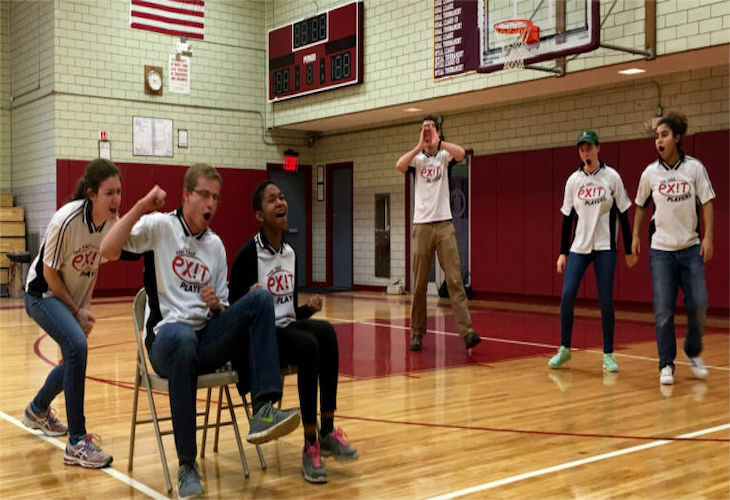 Within New Haven and beyond, we also teach improv to students of all levels and ages. © The Yale Exit Players. All rights reserved.